When you smile into the mirror, do you like what you see? If the answer is, ‘Not really,’ then you may want to consider these 5 great reasons to achieve a beautiful smile with cosmetic dentistry from Endres Gateway Dentistry in Cincinnati. 5. Even one procedure can change your look. Some of the most popular cosmetic dentistry procedures, such as teeth whitening, are simple but have dramatic results. 4. It’s more affordable than you think. Discuss prices and financing options with us. You may be surprised at the prices (in a good way!). 3. We will keep you comfortable. Many people worry that the procedures are painful, but we can help you stay relaxed and free from discomfort whether you’re getting tooth-colored fillings, dental implants, veneers, or a complete smile makeover. Ask us about sedation dentistry. 1. Regardless of your dental issues, chances are we can help you. Some men and women believe they have to live with stained, chipped, cracked, crooked, or missing teeth, but today’s dentistry has the tools and procedures to fix all of these dental problems and more. At Endres Gateway Dentistry in Cincinnati, services include cosmetic and family dentistry. We also serve the Blue Ash, Montgomery, and Loveland areas. Schedule an appointment today. In need of a crown? At Endres Gateway Dentistry in Cincinnati, we can provide the exceptional experience you deserve with the dental care necessary. Get discolored teeth brightened and chipped teeth fixed. Receive one vital procedure or a full smile transformation. Your wish is our command. Endres Gateway Dentistry has been serving the Loveland, Blue Ash, and Montgomery area since 2007. We crown patients with beautiful restorations and empower them with the confidence of a regal smile fit for a king. Many people believe that cosmetic dentistry refers to services designed to improve the looks of your smile, as opposed to those that repair a structural problem. However, there is much overlap. For example, the use of white fillings takes care of the cavities and makes your smile more beautiful. At Endres Gateway Dentistry in Cincinnati, services include family and cosmetic dentistry. Schedule your next appointment with us today. Teeth whitening is one of the most popular cosmetic dentistry procedures we provide at Endres Gateway Dentistry in Cincinnati. 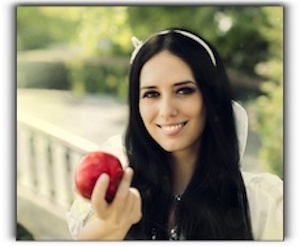 It seems everyone is whitening their teeth to help their smiles look younger and brighter. Many individuals are turning to over-the-counter products to whiten their teeth. These can be effective, but come with certain drawbacks. First, we encourage you to visit our office before starting a whitening system. We can help you determine whether your teeth can be whitened safely and effectively. We can also recommend whitening products that will work best for you. Over-the-counter teeth whitening products will provide varying degrees of whitening. If used incorrectly, they can lead to issues like sensitivity, over whitening, spotty coloration, and even damage to your tooth enamel. We recommend you talk to us at Endres Gateway Dentistry before beginning any self-treatment. We’ll discuss the various whitening systems and check your teeth to make sure you will get the best possible tooth whitening results. There won’t be a hard sell, but we can also talk about professional teeth whitening. We use KoR whitening, a highly effective teeth whitening system. There is an in-office treatment that can transform your smile in one office visit, and a professional-strength take-home kit you can do at your convenience, and will deliver results that are superior to anything available at the grocery store. Teeth whitening is just one of the cosmetic dentistry services we offer at Endres Gateway Dentistry. We serve patients in the Montgomery OH, Blue Ash, and Loveland areas. Schedule an appointment with us today. 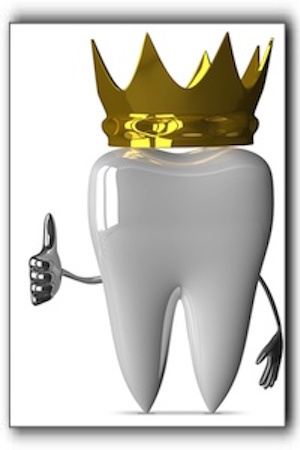 A dental crown is a cap or covering that fits over a tooth to restore it to its original shape and size. At Endres Gateway Dentistry in Cincinnati, we place a lot of dental crowns. Crowns can be made of metals, resin, ceramic, porcelain, or a porcelain-fused-to-metal material. We usually put in a temporary crown while a permanent crown is being created especially for your mouth in a dental laboratory. Dental crowns have been used successfully in dentistry for decades. Dental crowns are useful in smile makeovers to cover patient’s discolored or poorly shaped teeth. Strong, natural-looking crowns are also used with dental implants. Once they have been placed, a crown fully encases the part of a damated tooth that sits above the gum line. They fit over the tooth in much the same way a thimble fits over the tip of a thumb or finger. Once they are in place they can endure the constant pressure of daily chewing, just as well as the rest of your teeth. 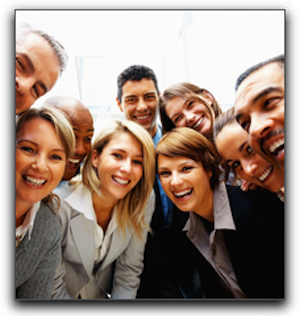 At Endres Gateway Dentistry in Cincinnati we place a lot of dental crowns. Other services include family dentistry. We serve the Loveland, Blue Ash, and Montgomery areas. Make an appointment with us today. There have been countless advances in the field of cosmetic dentistry in recent years and you may be surprised to find out what we can do for your smile, at Endres Gateway Dentistry in Cincinnati. 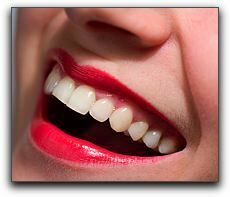 Cosmetic dentistry, as we practice it here, is about using the tools and techniques of dentistry to make positive changes to your teeth and your smile – changes in both health and appearance. 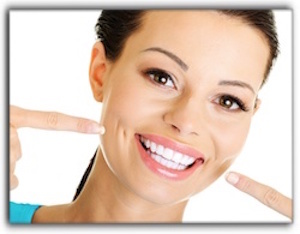 Teeth whitening is a common procedure in dental offices, but the results can be fantastic! Brighter teeth can be the centerpiece of your new, youthful look. 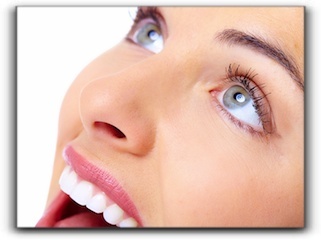 Porcelain veneers are thin ceramic shells that cover the front of the teeth. They are custom-made for each patient. Veneers are useful for those who have chipped or stained teeth, or gaps between teeth that they would like to fix. Enamel shaping, bonding, and braces are other critical procedures that can be used to help you achieve an outstanding smile. If you’ve ever wanted to enhance your smile, call Endres Gateway Dentistry to schedule an appointment. We offer cosmetic and family dentistry to those in Cincinnati, Blue Ash, Loveland, and the surrounding areas. Schedule an appointment with us today. When was the last time you looked into the mirror? Were you totally satisfied by what you saw? 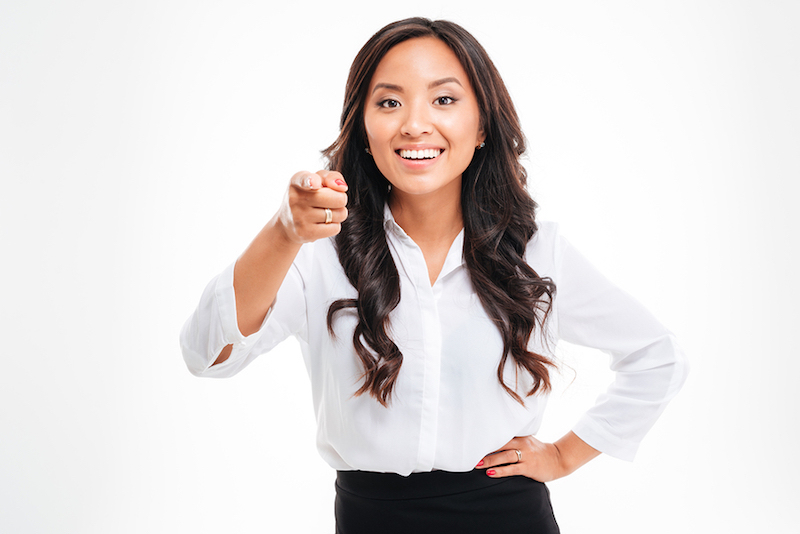 If the answer is, “Not really,” then you may want to check out at these 5 great reasons to visit Endres Gateway Dentistry in Cincinnati to talk about cosmetic dentistry procedures. 1. The first reason is that a little cosmetic dentistry goes a long way. Some of the most popular cosmetic dentistry procedures, such as teeth whitening, are simple and easy to do, but they can have meaningful results. 2. Next, you might be surprised at how affordable it is! 3. Don’t worry about pain, we will keep you comfortable. Many people expect treatments to be painful, but we are trained to help you stay relaxed and free from discomfort. 4. You’re never too old! 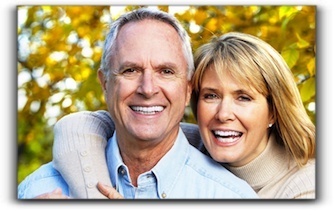 Many mature men and women think that cosmetic dentistry is only for the young, but teeth continue to change throughout your life and these procedures may be exactly what is needed. Plus, many satisfied patients say they look years younger after the treatments are complete. 5. We can treat your particular cosmetic dental problem. Some folks have been led to believe that they have to live with chipped, cracked, or missing teeth, but we have the tools to fix a wide array of dental issues. At Endres Gateway Dentistry in Cincinnati we offer cosmetic and family dentistry. We also serve the Loveland and Montgomery OH areas. Make an appointment today! Between declining health, limited mobility, and other challenges, aging is not for the faint of heart. Though some things can’t be avoided as we age, others can. Dental troubles, for instance. With modern cosmetic dentistry from Endres Gateway Dentistry, mature men and women can have a fantastic smile that looks as young as they feel. Many dental problems common among retirees, such as missing teeth, gum recession, tooth damage, and yellowed enamel, can be remedied. At Endres Gateway Dentistry in Cincinnati, we offer family and cosmetic dentistry that can take a few years off of your appearance. Schedule an appointment with us today. We also serve the Loveland, Blue Ash, and Montgomery OH areas. If you decide to whiten your smile with a professional teeth whitening treatment, you want the results to last as long as possible. Unfortunately, the same things that stained your teeth prior to the treatment can stain them after the treatment. Over time, common staining will transpire. To help slow down that process, Endres Gateway Dentistry offers helpful tips to make your brilliant smile last. First, rinse daily with anti-cavity rinse. This improves dental hygiene, cuts down on bacteria, slows the build up of plaque, and also helps whiten your teeth. Additionally, there are many over-the-counter rinses with an additional whitening agent which will help prolong the results of the whitening procedure. There are some daily practices to forego because they will stain your teeth over time. These include drinking coffee, tea, soft drinks, red wine, smoking, and even some medications. If you cannot totally cut these out of your life, rinse your mouth out after you use them. Avoid acidic foods and beverages. These can weaken or wear away the enamel on your teeth, and eroded enamel allows the yellow dentin to show through. Artificial coloring in any foods and condiments can stain your newly whitened teeth. Candy, popsicles, and fruit punch are examples. We probably don’t need to remind you, but brushing your teeth properly a couple times a day will help you keep your white smile. You may choose a toothpaste with extra whitening or baking soda to help the process. Proper brushing should take you at least two minutes using short brush strokes, paying close attention to the gum line and hard-to-reach areas. Clean the outer surfaces of your upper, then lower teeth, as well as the inner surfaces. Finally, don’t forget the chewing surfaces and your tongue. Using good brushing techniques for 120 seconds will improve oral hygiene, and permanent stains will not build up as fast. Teeth whitening is one of the cosmetic dentistry services provided by Endres Gateway Dentistry in Cincinnati. We also serve Loveland, Blue Ash, and Montgomery. Make an appointment with us today. When we crown one of our patients at Endres Gateway Dentistry in Cincinnati, the coronation is a celebration of a stronger smile. The necessity of a dental crown is usually apparent. Based on how much tooth is available to hold in a filling, sometimes a crown is needed to add more support and to keep the tooth from falling apart or breaking. Crowns are also required as a sturdy support for dental bridges. Consult with us to find out if you are a candidate for industry-leading restorative procedures meant to increase the life of your precious permanent teeth such as a fabulous crown. 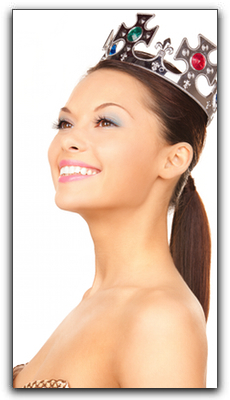 Keep in mind that crowns come in a variety of strong, reliable materials. Matching the natural color of your teeth increases the beauty of your smile. Gold crowns are incredibly strong and have the “bling” factor. But there are certainly other options. In addition to restorative services, we would love to speak with you about cleanings, cosmetic services, teeth whitening, braces, veneers, and other smile makeover possibilities. Endres Gateway Dentistry in Cincinnati serves Montgomery OH and the surrounding area. We provide dental crowns, along with a full range of cosmetic dentistry services. Schedule an appointment with us today. Has your smile lost its luster? Are your teeth discolored? If flashing a pearly white smile is important to you, we can help. The team at Endres Gateway Dentistry uses cosmetic dentistry to create whiter, brighter smiles for patients throughout the Cincinnati area. Whether your teeth have been stained through sipping dark-colored drinks such as red wine or coffee, or if smoking has left your teeth brown and dull, we can whiten your teeth and enhance your smile. In addition to cosmetic dentistry, Endres Gateway Dentistry in Cincinnati offers family dentistry and other procedures. Call us today to schedule an appointment.